In 2012-13 I was a postdoc on the project ‘The Power of Satire’, funded by the Netherlands Organisation for Scientific Research (NWO) and led by Marijke Meijer Drees (University of Groningen, Literature) and Sonja de Leeuw (Utrecht University, Media and Performance Studies). 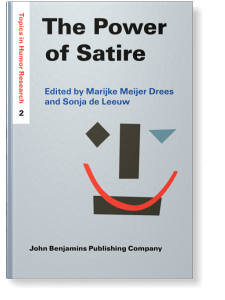 The project led to the edited volume The Power of Satire, published by John Benjamins in 2015, edited by Marijke and Sonja. I wrote a chapter for the book and three journal articles for the project, focusing on political and religious satire in the UK and US – including this article on The Thick of It. The other main outputs from the project were two PhD dissertations – one by Ivo Nieuwenhuis, UvA 2014, and one by Abdelghani El Khairat, UU 2013.